As fresh and delicious as a gift can possibly be! 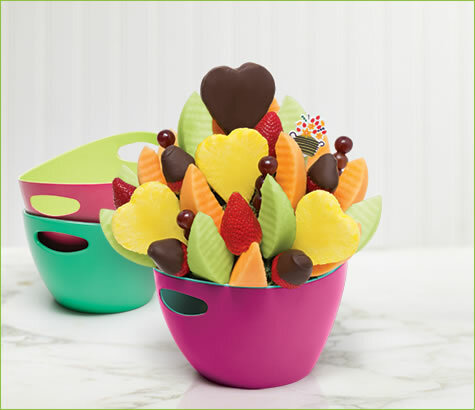 Fresh fruit arrangement of strawberries dipped in gourmet chocolate, melon wedges and large pineapple hearts! We love this bouquet for parties and birthdays, and so will your recipient!